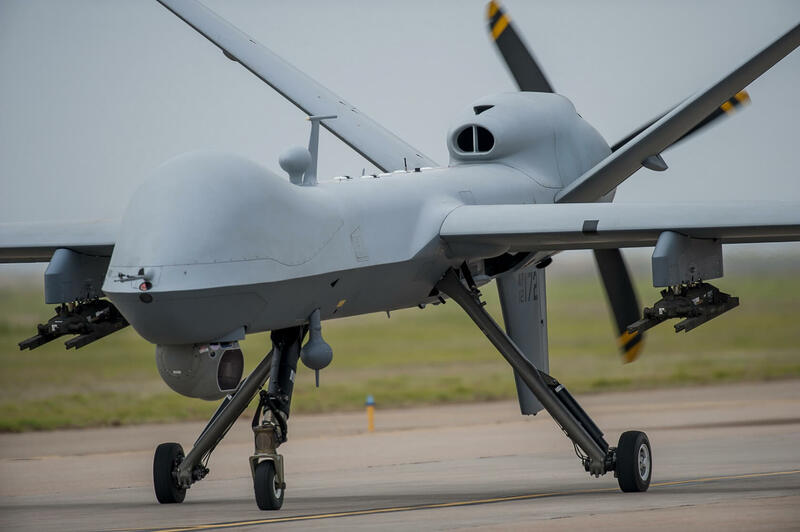 You might remember a report from last month that revealed Google has teamed up with the United States Department of Defense (DoD) to help it analyze drone footage using machine learning and AI. The company's involvement with Project Maven had raised concerns among some Google employees who didn’t believe it should be involved in the program. Now, over 3100 Googlers have signed a letter opposing the partnership. The Pentagon announced the creation of its Algorithmic Warfare Cross-Functional Team (AWCFT), codenamed Project Maven, in May last year. Its main objective is to use AI and machine learning to trawl through thousands of hours’ worth of drone surveillance footage in the hope of gathering “actionable” intelligence faster, while allowing analysts to make better use of their time. Google said it was giving the agency access to its open-source TensorFlow software, which should improve the system’s ability to identify targets and civilians. Although Google stressed that its work on Maven was “non-offensive,” and it wouldn’t be using its technology to “operate or fly drones,” several employees questioned the ethics of the company, whose motto is “don’t be evil,” assisting with the project. The New York Times reports that the number of employees voicing their objection to Google’s collaboration has increased. A formal letter addressed to CEO Sundar Pichai and signed by more than 3100 workers has called for involvement with Maven to be canceled. “We believe that Google should not be in the business of war. Therefore we ask that Project Maven be canceled and that Google draft, publicize, and enforce a clear policy stating that neither Google nor its contractors will ever build warfare technology,” the opening paragraph reads. An important part of our culture is having employees who are actively engaged in the work that we do. We know that there are many open questions involved in the use of new technologies, so these conversations—with employees and outside experts—are hugely important and beneficial. Maven is a well-publicized DoD project, and Google is working on one part of it—specifically scoped to be for non-offensive purposes and using open-source object-recognition software available to any Google Cloud customer. The models are based on unclassified data only. The technology is used to flag images for human review and is intended to save lives and save people from having to do highly tedious work. Any military use of machine learning naturally raises valid concerns. We're actively engaged across the company in a comprehensive discussion of this important topic and also with outside experts, as we continue to develop our policies around the development and use of our machine-learning technologies.